A month after the release of Android Pie 9.0, OnePlus announced this Friday the update of OnePlus 6 to the latest version of the operating system. It’s rolling out now over-the-air to OnePlus 6 users in select regions. It has not been long before the owners of OnePlus 6 gets the update on their smartphone. It must be said that for a month, the manufacturer has multiplied the various beta to give a taste of Android 9.0 version to its customers. New features added to the latest versions include a new interface, a “do not disturb” mode with new settings, a new Gaming mode and more. You can see the changelog below. OnePlus says the update has started its deployment, but it is not yet available to all users: “The OTA update will be received by a small number of users today and will be deployed more widely in a few days after we made sure there are no critical bug. Moreover, it currently only concerns the OnePlus 6 and not the previous models. 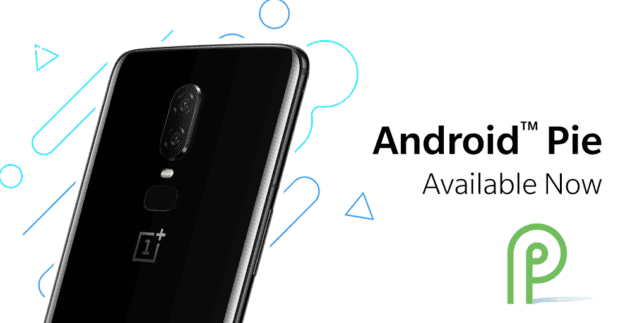 It is worth to mention that OnePlus is one of the first OEMs to kickstart its Android 9.0 Pie upgrades with Oxygen OS. This makes the OnePlus 6 amongst an elite few handsets receiving the update this early. The first official photo of the OnePlus 6T has finally appeared on the web, and it looks that the device has a very similar design to its predecessor, the OnePlus 6, with a double vertical rear camera sensors but he phone is equipped with a fingerprint sensor integrated under the touch screen. The Oneplus 6T is expected to be unveiled On October 17.